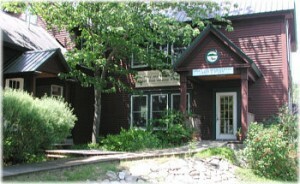 The Bradley Lakes Center is located at 230 Main Street in downtown Bridgton and serves as home base for LEA. The building contains the staff offices, water testing lab, a large meeting room, environmental resource library, GIS lab and numerous displays. It is surrounded by ornamental gardens that focus on native plants. The facility is well designed and can host numerous activities simultaneously. 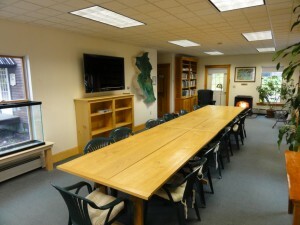 It is not uncommon for lake testing interns to be going in and out of the basement lab, while the staff talks with a landowner on the top floor and a presentation on ecology is occurring in the main room!